Its not a normal tutorial, not producing any usefull thing and maybe sometimes the result is unexpected, but a good basic feeback video noizz, from PXN. I normally check my blog daily, and i can see whitch was the search engine terms what the people used to find my site. 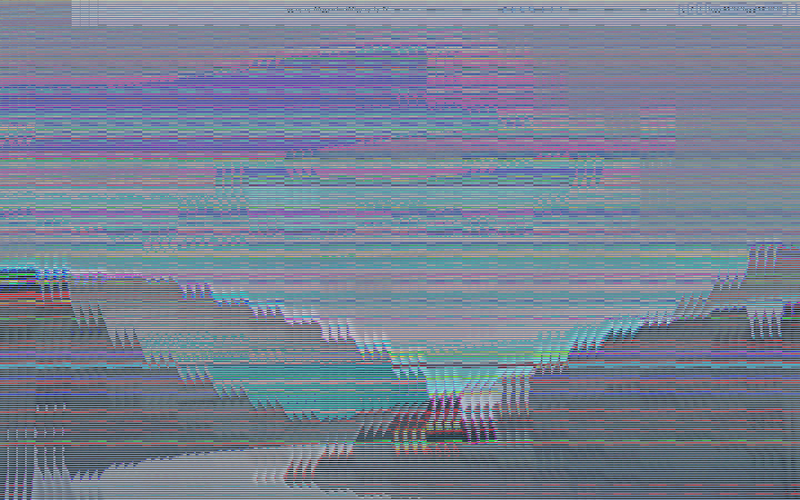 In the last time i found this one: quartz composer video noise generator, 3 or 4 times. So i decided to share my solution here. 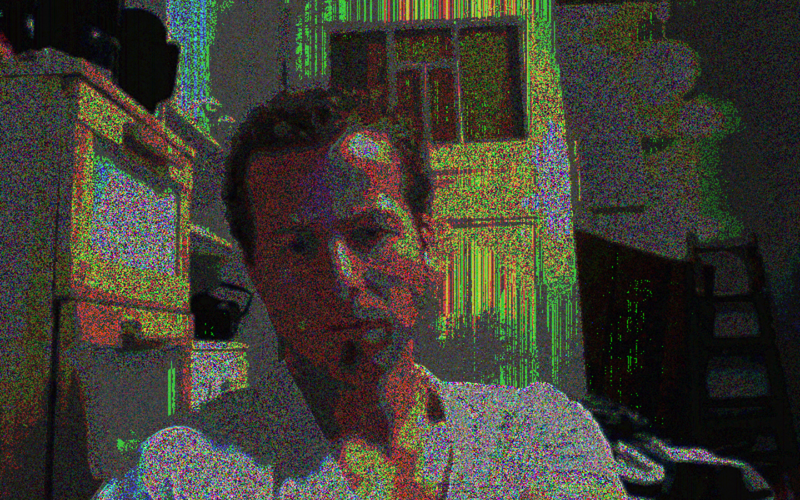 We are going to use a feedback, some special blend modes, and over-adjusted opacity, and basicaly thats it. The only one special plugin what we need is the kineme GL tools, its a free collection of very handy plugins for QC (10.5,10.6). You can donwload from the kieneme site. 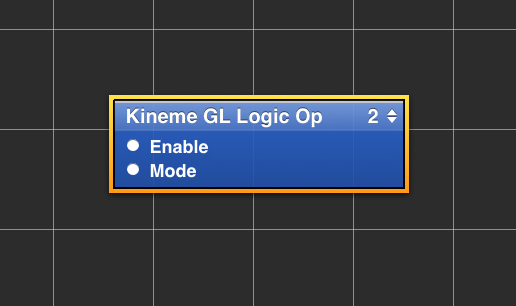 After playing bit with the new plugins, we have to search for Kineme GL Logic Op. Its a macro patch so will render out what is inside in the macro patch. But as a blend mode it needs something under, i mean an under layer, so we have to make a bit more complex thing. 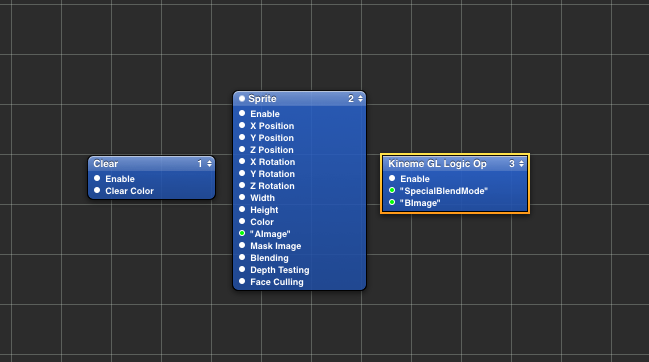 We place a sprite (with the right size) in the Logic op and the logic op in a render in image. We put another sprite inside in the render in image as well, this will be the under layer as i mentioned earlier, and of course a clear under. So this is the render in image. The next step should be to publish all the two sprites image input (the one in the kineme GL op mode and the other in render in image). 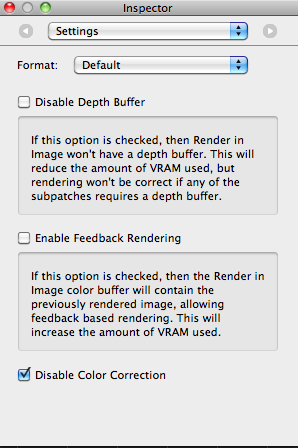 So both has to be published outside render in image. And a practical thing to publish the input of ‘gl op mode’ (the mode one). 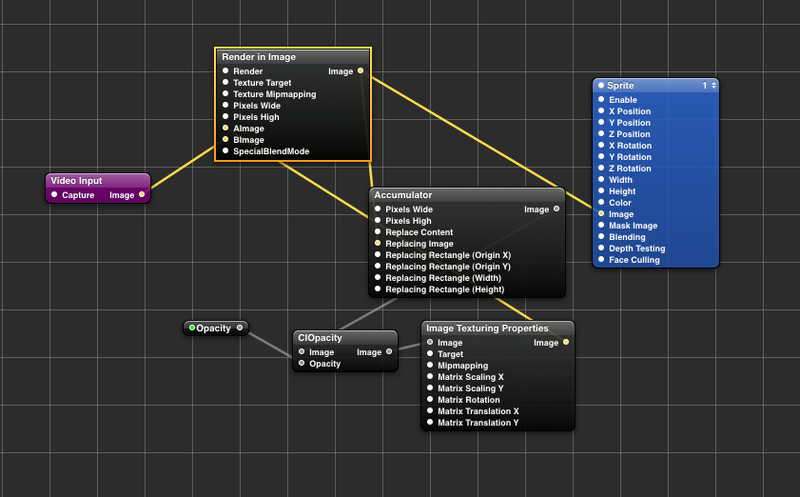 Now we need some other nodes as Core Image Accumulator (as the grandmaster of feedback), ClOpacity (to control the feedback), and an image Texturing Properties (to transform a bit the feedback). 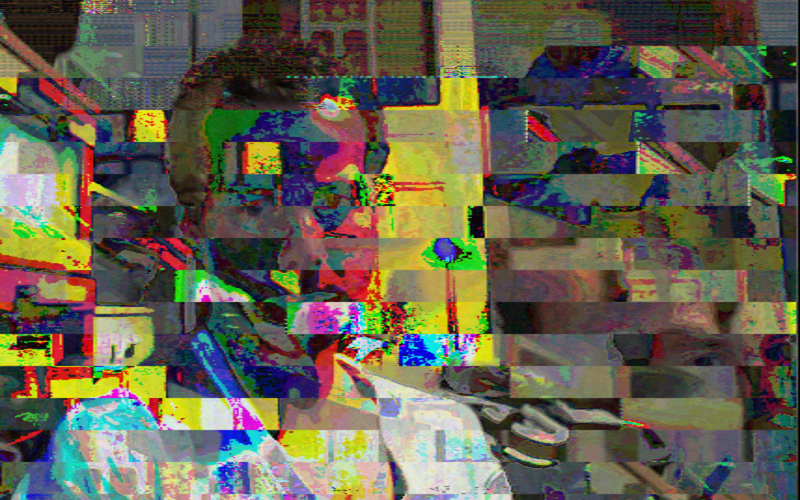 And a sprite at the end, and of course a video source (i used video input). Lets make the connections. And its done, well the test blendmode can be ‘Xor’. Noizzee, but what about some nice lines, instead of noizz. Thats why we need the ImageTexturinProperties, for example lets put the ‘MatrixTranslationX’ value of the Image Texturin Properties, higher then one. We can play with the scaling values and with the rotation as well. If the result is to much flashy, then we can get back a bit, switching ON the ‘Disable Color correction’ option of the ‘render in image’ (alt+2). 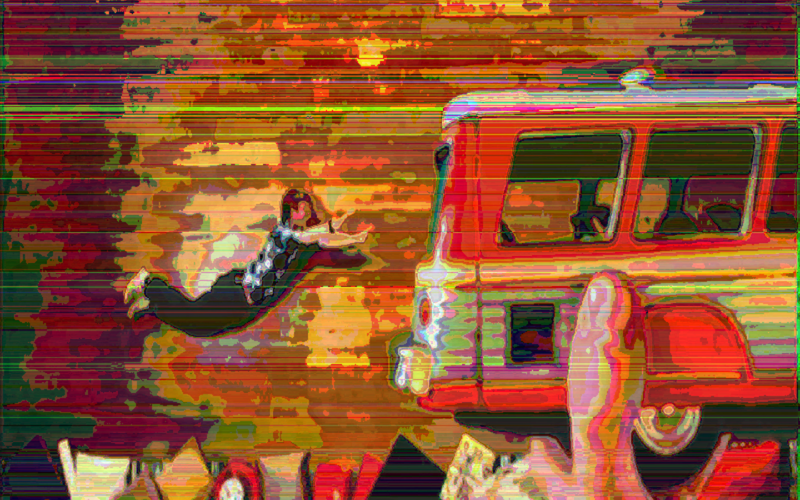 Lets play with the opacity, blendmodes and maybe some more nodes we can connect to the output of the ‘core image accumulator’ , but thats easy to try. 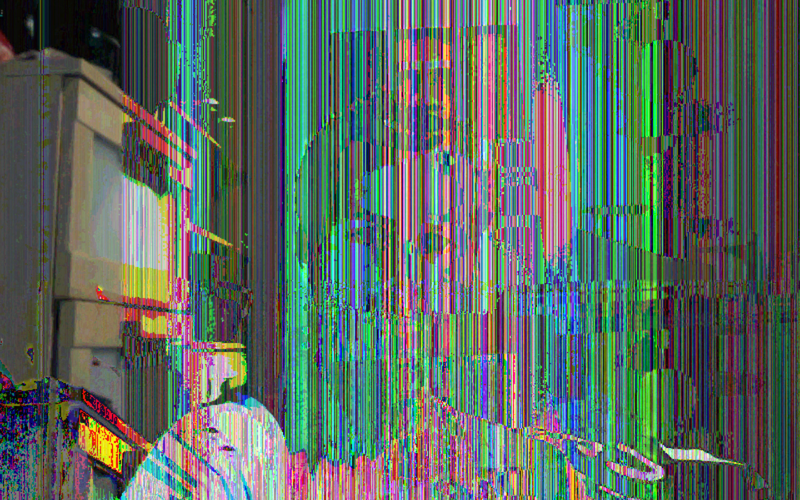 I tested this composition as an effect in VDMX and works perfectly, the speed is really ok, and i used last weekend during my performance at the Satta Outside festival. I will write the festival review soon.